Brandon University » News » Brandon University Health Studies Now a Faculty! Brandon University Health Studies Now a Faculty! BRANDON, MB — Brandon University has a new Faculty. The Dean of Health Studies, Dr. Dean Care, the faculty members and the staff of the former School of Health Studies collaborated to meet the necessary criteria to reach faculty status and at the latest BU Senate meeting, it became official. 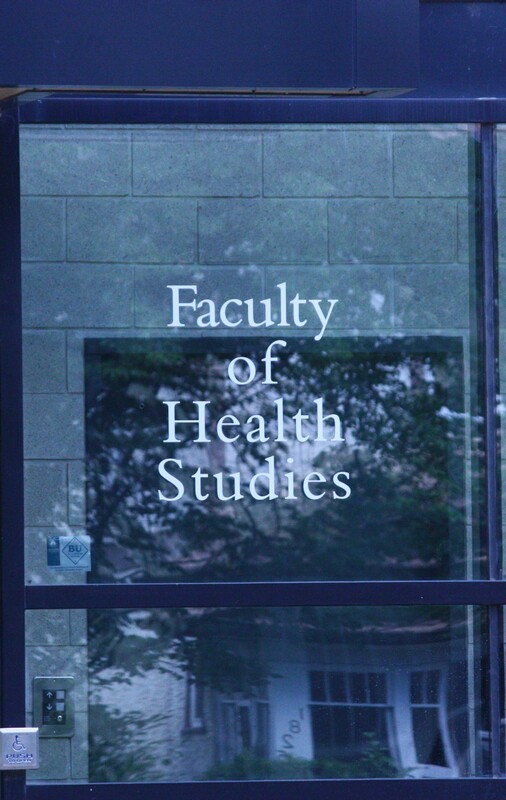 The School of Health Studies was granted Faculty status and BU has a new Faculty of Health Studies. The elevation of the School to Faculty status was one of Dr. Care’s main goals since his arrival at BU in 2008. To achieve the status of faculty, the former School of Health Studies had to achieve certain criteria, including having “an independent School Council reporting directly to the Senate”, reaching a sizeable number of students and faculty, implementing graduate programs, carrying out noteworthy research, maintaining a worthy performance record, among others. Another objective of Health Studies was to garner approval of the two main nursing programs by their respective colleges in the province. Dr. Care stated that this acknowledgement is a sign of excellence and indeed, the Faculty of Health Studies at BU has now fulfilled this. External reviewers awarded the psychiatric nursing program five-year approval and the nursing program four-year approval — the maximum for both. “This development is so important – for our students, the Faculty and the University. It raises the profile of the entire program making the BU Health Studies experience more valuable to the students. The achievement of this benchmark is a testament to the hard work Dr. Care and the faculty devoted to this initiative,” said Dr. Deborah Poff, Brandon University’s President and Vice-Chancellor. 1986 — Two post-diploma programs in nursing and psychiatric nursing, under the auspices of the Department of Nursing and Health Studies, are introduced at BU, housed in the Faculty of Science. 1995 — BU launches Canada’s first four-year baccalaureate program in psychiatric nursing and the School of Health Studies is created. 1998 — The first two years of the Bachelor of Psychiatric Nursing is offered by distance education, in Winnipeg, in collaboration with the University of Winnipeg. 2001 — Funding from the provincial government in the amount of $5 million heralds the arrival of the four-year B.N. at BU. 2003 — The new Health Studies Complex opens its doors. 2005 — The Winnipeg campus expands its student capacity in the Bachelor of Science in Psychiatric Nursing and classes are now held in the Rice Financial Building. 2011 — The Master of Psychiatric Nursing is launched, with 13 part-time and full-time students from across the country.